Sweater weather is here. 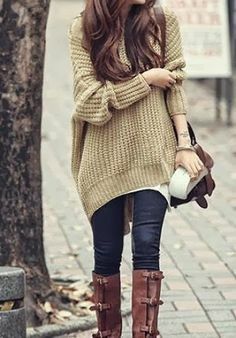 Over-sized chunky knit to crop to sweater dress. Here are few ways to style it. 2. Wear it cropped with some high waisted Jeans/Skirt or even with your boyfriend jean for extra comfort. 4. Wear it oversized with some tights and boots and may be rock a floppy hat with it.